Put our expertise to work for you. 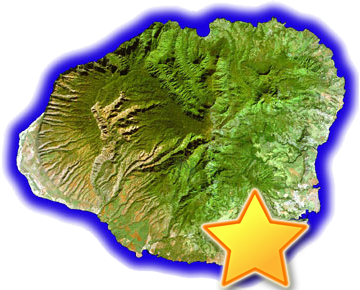 At Koloa Bass Fishing, we are proud to have received the following recognition for our contributions to the Kalaheo community. Paddle at your leisure across the Waita, a private freshwater reservoir where you can fish for Big Mouth Bass, Tucunare (aka Peacock Bass), Tilapia, and much more! 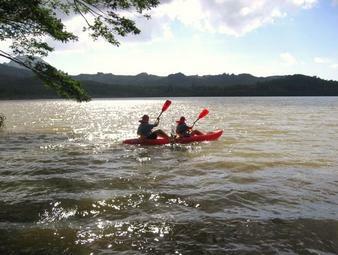 Experience hidden Kauai by kayak with a professional guide on this 3 hour excursion. Includes: Kayaks, paddles, fishing gear, bait, life jackets, and guide. Fish for Big Mouth Bass, Tilapia, Tucunare (aka Peacock Bass), and much more off a 17" Aluminum Bass Boat at the Waita Reservoir. 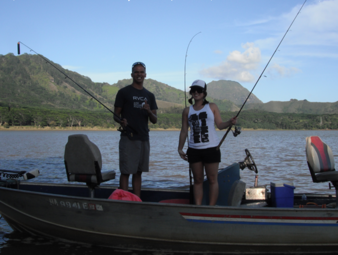 At this private location, a guide will bring you to the "sweet spots" and other destinations of interest to fish at your leisure. 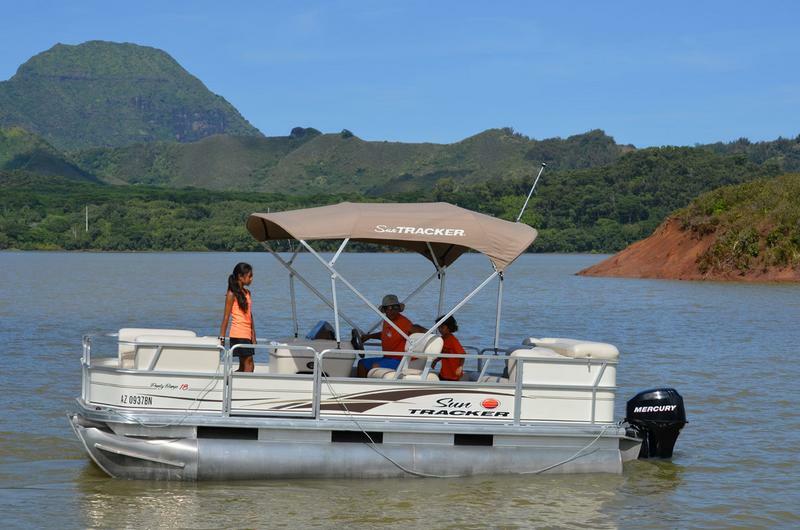 Parties of 3 or more will use the Suntracker boat on their excursion. Parties of 2 or less will use a smaller boat. If the party wishes to use the smaller boat it is considered a private party and must be booked as such.Please call for private tour price. Includes: Fishing gear, bait, life jackets, and guide. The Waita offers three-quarters of an acre with a pier for any event. Fishing Tournaments, Holiday Gatherings, Company Events, Benefits, Adventure Races, Ceremonies, Team Building, and much more! Call for site inspection and pricing.